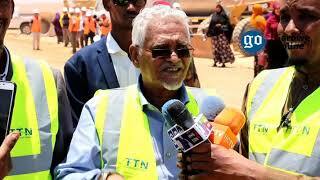 Somalia Aviation Minister Mohamed Oomaar said the item was found during baggage screening. MOGADISHU, Somalia - A Briton has been arrested after authorities say suspicious items believed to be tear gas canisters was found in his luggage at Mogadishu airport on Saturday, Garowe Online reports. The British citizen was held during baggage screening and subsequently handed over to the National Intelligence and Security Agency [NISA] for questioning, according to sources within the airport security unit. The man whose name has not yet been publicly released was to travel out of the country and heading to Addis Ababa via Ethiopian airlines. 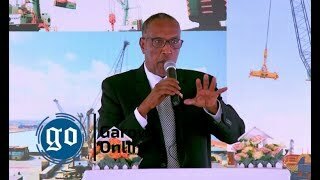 He has been working for a foreign private company in Mogadishu. 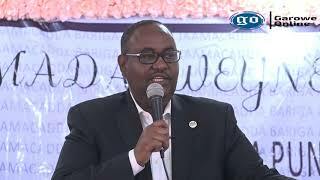 Somalia's Aviation Minister, Mohamed Abdullahi Salad [Oomaar] has confirmed the incident at Aden Adde International airport and said police are investigating the cynical items found in the Briton's bag. The minister said operations at the airport have not been affected by the incident. Meanwhile, sources said that Ethiopian Airlines which has recently resumed flights to Mogadishu after decades of hiatus flying to and from Mogadishu following the arrest of one of its passengers. A Daallo Airlines flight was forced to make an emergency landing February 2, 2016, in Mogadishu, the Somali capital, after a midair explosion ripped a hole in the side of the plane's fuselage. The blast has used a laptop that Somali police said was contained a bomb. The bomber was reportedly blown out of the Airbus 321 plane shortly after take-off from Mogadishu. 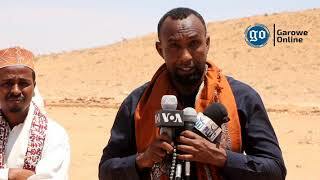 His body was found in Balad, a town about 30 kilometers [18 miles] north of the capital. More ten people were arrested in connection with the incident. 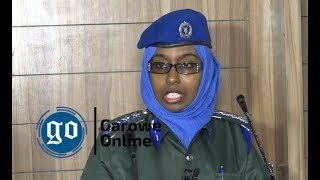 Three months later, Somali military court sentenced two men to life in prison for masterminding of the plane explosion while others, including a woman, were sentenced to four years in prison. Mogadishu airport is home to offices of the United Nations, African Union and many diplomatic missions, including those of the United States and European Union.